The Penguins enter Saturday’s contest with a 5-6 record, winners of five of their last seven, but with two of their five wins coming over non-Division I foes. Jerry Slocum is in his 11th season at Youngstown State, where he’s never finished better than fourth in the Horizon League, and 41st as a head coach. The Penguins lost four of their top five scorers from a season ago and are re-building their team around 6-foot-10 senior big man Bobby Hain. Defense has been Youngstown State’s undoing this season. The Penguins are ranked 313th in adjusted defensive efficiency and have only held two Division I teams below a point per possession. Youngstown opponents are shooting 51.9% on twos (268th) and 35.4% on threes (218th) with 40% of their field goal attempts originating from long distance. That’s good for the 266th best effective field goal percentage defense at 52.4%. After playing a pretty brand of offensive ball against Northern Kentucky, Michigan should pick up where it left off against a Penguin defense that doesn’t force many misses or turnovers and is just average on the defensive glass. Offensively, Youngstown State is a step up from some of Michigan’s other guarantee games. The Penguins are ranked 181st in adjusted offensive efficiency and have an offensive profile similar to Michigan in the sense that they are a decent shooting team that doesn’t turn the ball over do much on the glass or at the free throw line.  Youngstown State shoots 47% on twos (212th) and 34.2% on threes (163rd) for a 48.6 effective field goal percentage (190th). Those numbers aren’t great, but combined with an impressive 15.7% turnover rate (40th) the Penguins are able to get enough shot attempts to stay efficient. The Penguins shouldn’t test Michigan’s defensive rebounding woes as they rebound only 26% of their missed shots and this shouldn’t be a game that features many foul shots either. Youngstown attempts only 25.4 free throws per 100 field goal attempts (334th) and doesn’t foul much either (34.6 FTA/FGA). 6-foot-10 big man Bobby Hain uses roughly a quarter of Youngstown State’s offensive possessions and he has some inside-outside tendencies. The 240 pound senior is a plus-defensive rebounder, but just average on the offensive glass, and shoots a solid 53% on two-point attempts. He’s not afraid to step outside and shoot the three either, but he’s only connected on 4-of-18 long range attempts. Another 7-footer, Oral Roberts transfer Jorden Kaufman, was suspended for a violation of team rules in YSU’s last game (perhaps a one game suspension), but provides another strong rebounder and finisher (53% on twos) inside the arc with size at 250 pounds. 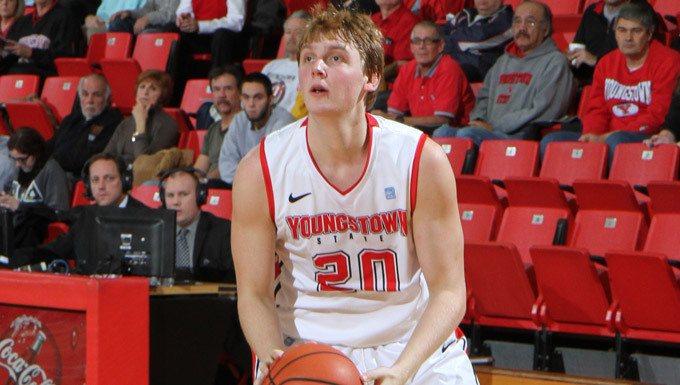 Cameron Morse, a 6-foot-2 sophomore guard from Flint, MI, is Youngstown State’s best perimeter player and leading scorer. Morse shoots 45% on tows, but is a career 39% three-point shooter as well. He played limited minutes last season, but has seen an increased role this year. Morse gets to the line, doesn’t turn the ball over much and also has a team-best steal rate. YSU’s best setup man is Francisco Santiago, a 6-foot-1 sophomore, who transferred in from Wheeling Jesuit where John Beilein played his college ball and was recently inducted into the hall of fame. Santiago didn’t actually see any game action at Wheeling, so this is the first competitive basketball he’s played since his senior year of high school. He’s had some turnover issues this year, but shoots 41% on twos and 33% on threes with close to a 50-50 split. Freshman Latin Davis, a 5-foot-11 guard, also has some point guard skills in limited minutes off the bench, but has just a 38% effective field goal percentage. Davis is a local kid who played his high school basketball at Milan. Sidney Umude is a 6-foot-7 slasher who starts and plays around 20 minutes per game. He’s a plus-shot blocker and offensive rebounder who shoots 45% on twos but isn’t a threat from beyond the arc. Fellow 6-foot-7 wing Matt Donlan is just the opposite. The junior transfer started his career at South Dakota State and stopped at a JUCO before arriving in Youngstown. He’s a 43% three-point shooter on 61 attempts who can also finish inside at 50%. Improved defense: This should be another good tune-up for Michigan’s lackluster defense which struggled in the first half against Northern Kentucky. The Penguins are a more efficient offensive team this season and should have the ability to test the Wolverines’ inconsistent defensive abilities. Contain the post: This isn’t a team that is going to challenge Michigan on the offensive glass like Texas, Xavier or SMU, but the Penguins will run offense through Hain and will consistently test the Wolverines inside. I would like to see more minutes for Moritz Wagner as he looks to get his feet under him before the Big Ten season. Know shooters: Northern Kentucky’s Cole Murray was the only shooting threat Michigan faced in its last tune up and he was able to get far too many open threes. Murray finished with 15 points the Wolverines should face a similar threat in Matt Donlan against YSU. Donlan is the primary threat, but starting guards Morse and Santiago can also knock down the triple. Another Saturday, another guarantee game. Youngstown State should be about on par with Elon and Northern Kentucky, rather than Houston Baptist or Delaware State, but this should be another comfortable win for the Wolverines. KenPom projects an 83-65 Michigan win with a five percent chance of a Penguin upset.